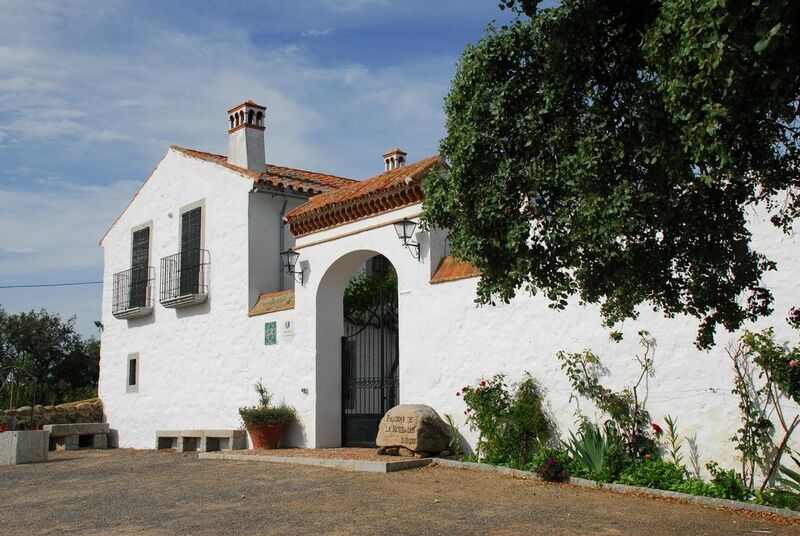 A rural accommodation situated in the North of the province of Cordoba, in the Pedroches valley, which is considered to be the largest holm oak reserve in Europe. Ideal for golf enthusiasts (the first public golf course in Spain is only 1km away). Part of a 120-hectare agricultural and cattle farming land, where the livestock graze freely (merino sheep, Iberian pigs, cattle and pure breed Spanish horses). Surrounded by numerous country walks and cattle routes suitable for people on foot, on horseback, by bicycle, where one can spot the owl bubo, the stork, the red partridge, etc. The Palomar de la Morra has had the pleasure of providing accommodation to such well-known people as Jose Luis Perales and Ramon Tamames, all of whom have signed our guest book. It has been presented and recommended by César Lumbreras in his programme on COPE Radio.